There is no known relation to fellow settlers Josiah Wheeler, Joseph Wheeler, or Joel Wheeler at this time. Descendants of John Bannister Wheeler. 1. 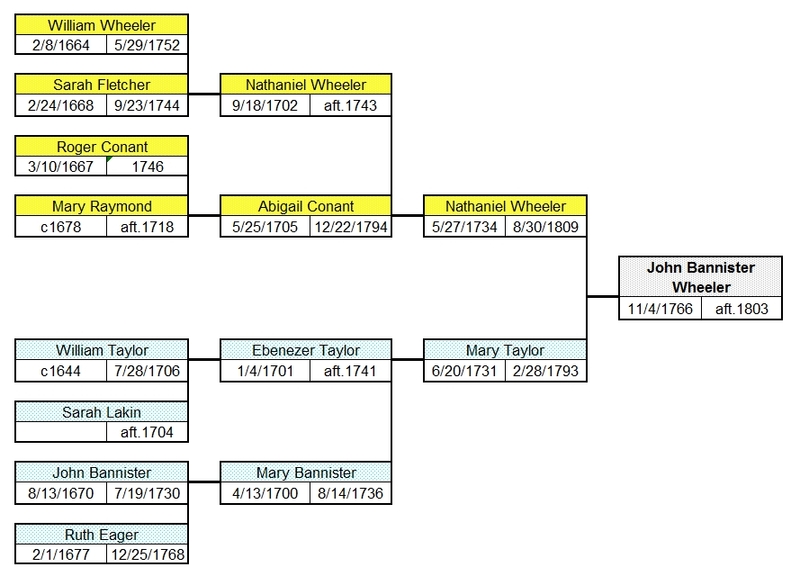 JOHN BANNISTER7 WHEELER (NATHANIEL6, NATHANIEL5, WILLIAM4, WILLIAM3, GEORGE2, JOHN1) was born 04 Nov 1766 in Westminster MA, and died Aft. 1803. 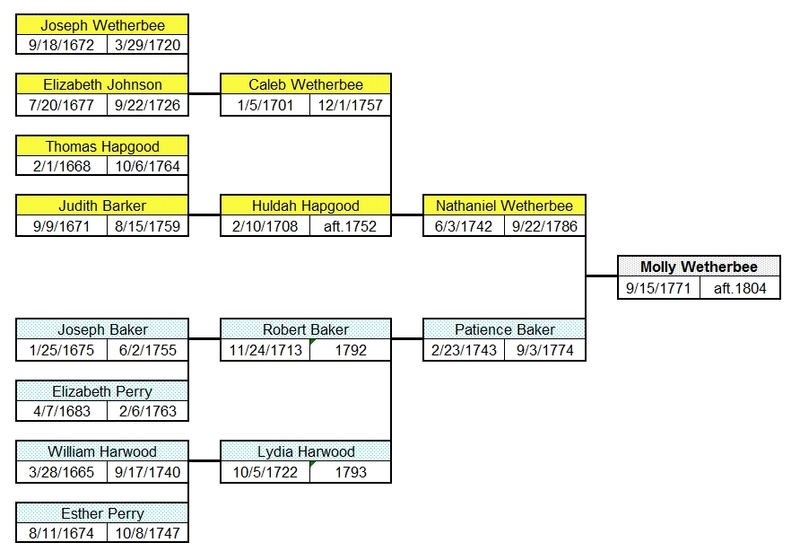 He married MOLLY WETHERBEE 31 May 1792 in Westminster MA, daughter of NATHANIEL WETHERBEE and PATIENCE BAKER. She was born 15 Sep 1771 in Westminster MA, and died Aft. 1804.
i. NATHAN WETHERBEE8 WHEELER, b. 14 Oct 1792, Westminster MA. ii. OTIS WHEELER, b. 11 Aug 1794, Gardner MA. iii. CYNTHIA BAKER WHEELER, b. 11 Apr 1797, Gardner MA. iv. JOHN B WHEELER, b. 25 Jan 1799, Gardner MA. v. ASENATH WHEELER, b. 07 Aug 1800, Gardner MA. vi. MARY TAYLOR WHEELER, b. 03 Apr 1802, Gardner MA. vii. BENJAMIN FRANKLIN WHEELER, b. 15 Feb 1804, Gardner MA.